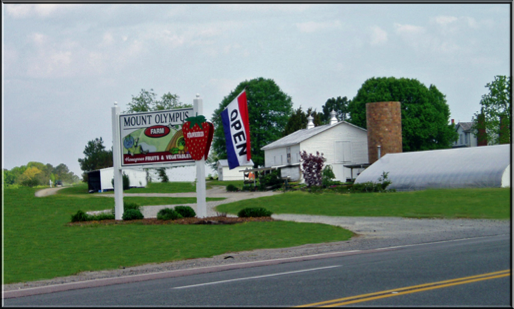 Mount Olympus Farm is a family owned farm located between Richmond and Fredericksburg, VA. You can pick-your-own (PYO) strawberries, blueberries and blackberries. We also take pride in offering a large variety of high quality fresh vegetables including many heirloom varieties. Our garden center has many perennials, herbs, annuals, shrubs, etc. Can’t make it to our farm? Look for the Mt. Olympus truck bringing fresh produce to several Northern Virginia producer-only farmer’s markets.